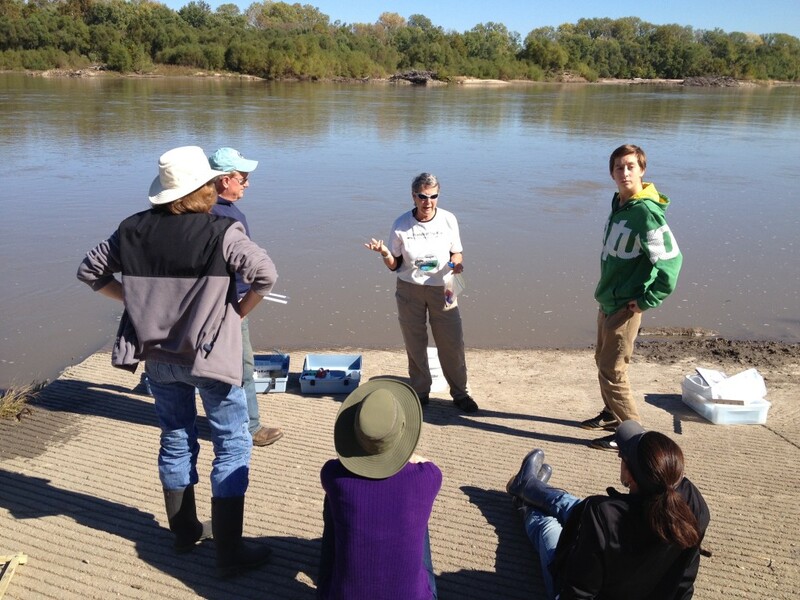 As part of our current Johnson County Stormwater Education Grant we are recruiting and training volunteers for three Stream Teams to test water in three tributary streams of the Kansas River. We need 4 to 6 volunteers for each Stream Team and we tentatively plan to test the water quality of Turkey Creek, Mill Creek and Cedar Creek. The training for the Stream Teams will be on Sunday, April 2 from 1:00 to 4:30pm at the Pickard Conference Room at the Johnson County Central Reserve Library at 9875 W. 87th Street, Overland Park, KS 66212. The training workshop will be taught by our Educational staff and you will learn to perform non-chemical and chemical tests, and also the procedure to seine and identify macro invertebrates (insects that live in the water.) At 2:30 teams will travel to their test sites with an educational staff member and perform the water quality tests and record the results. Teams will choose dates to meet again in May, June and July to perform the tests again and compare the results. Friends of the Kaw will provide all the testing equipment for the Stream Teams. For more information or to reserve a spot for the training email Laura at friendsofthekaw@gmail.com or call 913 963 3460.